A professor in the College of Arts and Sciences has accepted a prestigious, yearlong appointment at the University of Ghana in West Africa. Horace Campbell, professor of African American studies (AAS), will occupy the Kwame Nkrumah Chair in Ghana’s Institute of African Studies during the 2016-17 academic year. He will use the opportunity to lecture and conduct research on Pan-African liberation and integration. Campbell is the third occupant of the Nkrumah Chair, created in memory of Ghana’s first president, who founded the institute in 1962 to encourage Pan-African studies. (A symbol of African independence, Nkrumah died in exile a decade later.) Prior to Campbell, the chair has been occupied by Jacob Gordon, professor emeritus of African and African American studies at the University of Kansas, and Kofi Anyidoho, an internationally acclaimed poet and oral artist, as well as Ghana’s professor of literature. 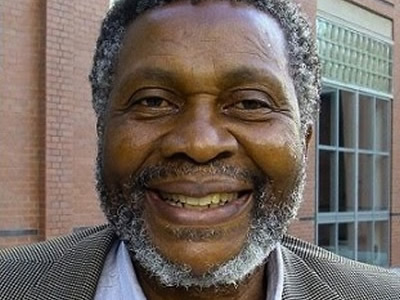 Director of Syracuse’s Africa Initiative (a campus-wide project based in AAS), Campbell is a scholar of African, African American and Caribbean politics; militarism and transformation in South Africa; and post-independent Caribbean society. He cites Nkrumah’s landmark book, “Africa Must Unite” (1963), as the inspiration for much of what he does at Syracuse and hopes to accomplish at Ghana. Armed with his well-worn copy of “Africa Must Unite,” in which Nkrumah outlined his so-called “policy of the impossible,” Campbell hopes to use the Ghanaian appointment to further his research into what he describes as “infrastructures for transformation.” He is particularly interested in how African canal systems may be used to harness water resources (thus providing economic and social benefits to neighboring villages) and reverse global warming. Some of Campbell’s research will be informed by the events of 2007, when African heads of state met to explore the possibility of forming a United States of Africa. “Having a Pan-African Federation, made up of all 53 African countries, certainly would help the continent meet the challenges of fair trade in an increasingly globalized world,” he says. At the same time, Campbell thinks Africa is capable of financing its own infrastructure, a mindset shared by the United Nations Economic Commission for Africa (UNECA). Campbell says his appointment will likely culminate with a book or monograph about Pan Africanism and how it relates to 21st-century reconstruction and renewal. A prolific writer, he is the author of dozens of scholarly articles, as well as six books, including “Global NATO and the Catastrophic Failure in Libya: Lessons for Africa in the Forging of African Unity” (Monthly Review Press, 2013) and the seminal “Rasta and Resistance: From Marcus Garvey to Walter Rodney” (Africa World Press, 1987), now in its eighth printing. Campbell also is a sought-after lecturer and commentator who has held visiting appointments in China, Ireland, South Africa and Uganda. He earned a Ph.D. from the University of Sussex (U.K.).